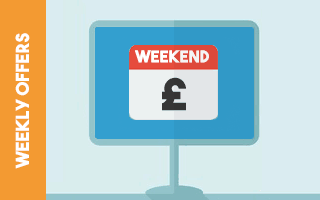 Apologies for that for the first weekend this season there is no Weekend Offers blog post boo! We are on our travels but we are back next week so normal service will resume for the rest of the season. If it helps please do check out last weekend's blog post to help remind you of the regular offers that run each weekend. Also the Facebook Group is a great place for discussion on the weekend offers! If you're an OddsMonkey member please check the OddsMonkey Offer Calendar for all the latest and additional offers. Not yet a tried OddsMonkey Premium? Check out the OddsMonkey review.